Ever since the Internet took over the global communication arena, businesses (both national and international), have been recalibrating their strategies to fit the most dynamic medium of information delivery. Now, we see the creation of company websites as a prerequisite if one wants to make the venture reach its target audience. There is an influx of demand for experts working in industries like the web design Philippines, and this called out for an equally skilled workforce able to do the job. Still, not all existing websites manage to gain the attention they desire, and the reason is not just about the lack of content, but more on the lack of a captivating website that holds your customer’s attention intact. A good rule of thumb when starting a site is to keep in mind that at the end of the day, it’s never about you. It’s about the people you want to help. If before, creating unique products comes first, now, the business landscape has changed. It’s all about the people’s needs. Identify the demographic, psychographic and needs of these people and provide them the solution. Put on considerable time to layout and design. According to Adobe, 38% of website visitors will shun away from it if its content or layout is unattractive. Human brains are wired to recognized images, videos and color association faster than plain text. Meaning, no matter how kickass your article is, if you don’t provide a user-friendly and attractive design, visitors will most likely jump to another site even before reading what you offer. Content might be a royal, but be sure to build a stunning castle for the whole kingdom. Create content that HELPS your readers. While many of the premises behind website creation revolves around flaunting the hot and trendy products a company has to offer, its sustainability relies on how relevant they make themselves for their market. Staying consistent requires you to be a daily participant on what your readers need. The more you help them, the more they stay loyal. Set up a BLOG section. For content creators, this is an alert raised to the highest level. Imagine? The chance of your whole article to be read by people relies primarily on the quality of the headline which barely makes up 5% of the entire entry! While creating blog sounds like an additional workload, companies who manage it well have built a solid reputation for themselves which is tangible for the regular customers they have. Blogging is your chance to inspire and educate readers. Ultimately, it’s an opportunity to convince them to buy what you offer. 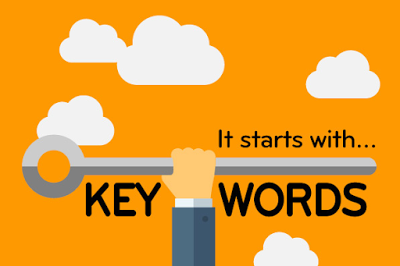 Use optimized keywords for your content. Every website wants to be on the first page of Google’s search engine. Why? Because it’s tantamount to the most effective means of promoting themselves. Imforza.com says that ‘75% of users never scroll past the first page of search results.’ Even if you manage to land the first entry on the 2ND page, it would still mean that you are way behind the first ten search results. For any business, this is a disadvantage. It takes consistency and serious SEO efforts to be recognized by Google’s search engine. But once you do, the benefits are worth it. Provide social media plugins for content sharing. Whether you like it or not, social media has now become the new battlefield for digital marketing. Websites provide accurate information for certain topics, but it’s on social media where people go to find things. If you don’t make enough noise on Facebook, Twitter or any other SM platforms, you’re taking away the chance to engage with people who might be looking out for you. When you create your website, make sure you install social media plugins. This way, those who visit your site and find your content useful can share it directly to their friends. Start the fire. Let social media serve as its gasoline. The sound of the word ‘analytics’ alone already sports some degree of technicality on it – one thing that fends off marketers to delve deeper into their content’s actual performance statistics. Google Analytics is technical. There’s no use sugarcoating that. However, it is necessary. More importantly, it can be learned. While it may seem complicated, understanding how analytics work is a vital factor to Google ranking. With all the advanced tools found online, anyone can now build their website. However, creating one for business requires more than just providing content, product details and a little bit of design. Useful websites convert, and they give people enough reason to come back regularly to know what is the new offer in the house. 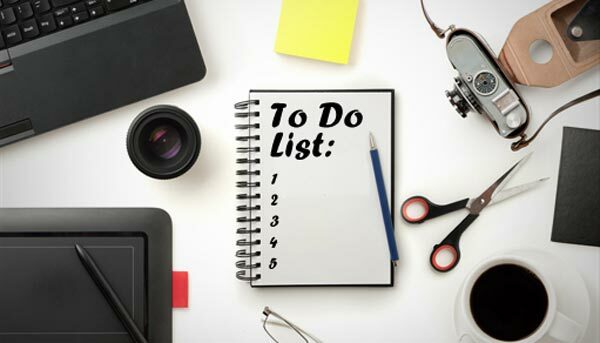 If you now want to jump-start your venture with a captivating blog, be sure to invest time in learning the ropes of the things we have on this list. It takes a considerable amount of time creating a solid reputation online, and there is no surefire guarantee that you will receive the feedback you hope for. However, following the ways on the list on a consistent basis has been proven to create a difference. Build your website the right way now!